Stan Grimwood is a native to Pennsylvania. He attended Cumberland Perry Area Vocational Technical School and graduated from Cumberland Valley High School. Stan has been doing masonry work since 1985, at age 15. After high school, Stan worked as a journeyman and bricklayer in the International Bricklayers Union Local 71. After working on large commercial projects and honing his brick/block laying skills in the Union, Stan began to work on specialized stone and unique masonry projects. As he saw this was his passion and through his hard work and diligence, Stan started his own company in 1996, Grimwood Masonry. 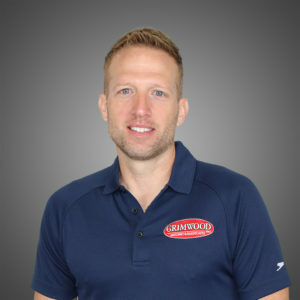 Stan became certified in hardscape installation and incorporated his company in 2005 forming Grimwood Masonry & Hardscapes Inc. Stan is listed in the Who’s Who World Wide database. Stan resides in Hampden Township and enjoys spending time with his family. Some of his favorite past times include working in his own yard, running and biking. Greg grew up in Ohio. After graduating from high school, Greg went through an extensive apprentice bricklayer program and received his Journeyman’s card in 2003. Greg moved to Pennsylvania in 2007 and has been a valued employee of Grimwood Masonry & Hardscapes Inc. ever since. Greg’s favorite work includes natural hardscaping. 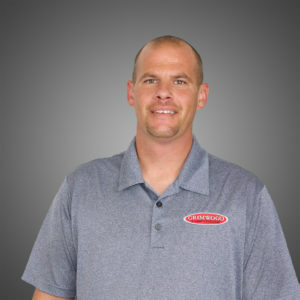 Greg resides in New Cumberland, PA with his family and enjoys coaching softball and camping. Grimwood Masonry & Hardscapes, Inc.
Grimwood Masonry and Hardscapes, Inc. Since 1996, Grimwood Masonry & Hardscapes Inc. has proudly served Central Pennsylvania’s residential community. From simple to complex projects, we work with our clients to enhance their outdoor living spaces to create their own oasis.